Trash collection from public bins can be a problem if the cans on the garbage truck routes have nothing in them. Time, manpower and energy are all wasted. But how do you efficiently collect the waste if you don’t know which cans to collect from? Using the Enevo One would be a good start. 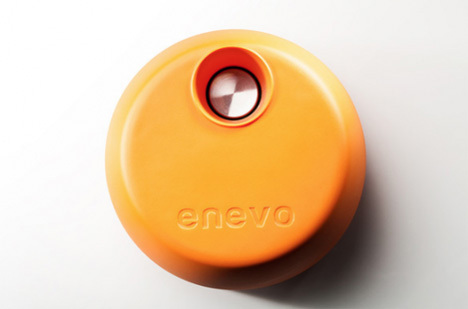 Invented and actually used in Finland, the Enevo One smart garbage can sensor knows when a bin needs emptied. It’s a small disc-shaped sensor that adheres to the bottom of the municipal trash cans and can sense when the bins are full. The collection company is then alerted and the appropriate adjustments are made to the truck routes. The Enevo One’s “smart” qualities are its most impressive. It can not only sense the garbage, but it collects and analyses data on when a bin is expected to be full, how long it might take to fill the bin and other waste probability data. Now hopefully the rest of the world will catch on. See more in Futuristic or under Technology. August, 2013.